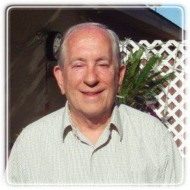 Huntington Beach Therapist: Carl Wells - Therapist 92647. Send A Message To Carl. Session Fees: I have a discount for cash. I accept OWCP, most insurance out of net and Blue Shield in net. I am a Medicare and Medical (Orange County) provider. I grew up in Orlando, visited the Boy Scout Jamboree as an eagle scout in Irvine and moved to California after graduating from the University of Florida. I have lived in Huntington Beach for 30 years. My major passion is helping people live happier lives. I also enjoy traveling, skiing, back backing, kayaking, motor cycling and playing banjo.